Anybody. Croquet is a game for all ages and both sexes, provided they can handle the mallet. No. You should wear flat soled shoes when on the lawn, otherwise just as you are. Although the club has some mallets for general use, most people eventually buy their own. Mallets cost from about £150 upwards. We are co-located with the Thornycroft Bowls Club, St Andrew’s Road (off Pinkerton Road), South Ham, Basingstoke RG22 6PT. Park in the large car park on St Andrew’s Road at the end opposite the entrance. Walk down the path to your left and the Clubs are through the steel gate: turn right up the ramp. Our current season is April to early October. Our Associate Members who are also members of the University of the Third Age (U3A) have use of the lawn on Mondays, Tuesdays and Wednesday & Thursday mornings. Club members play on the other days including evenings and weekends. 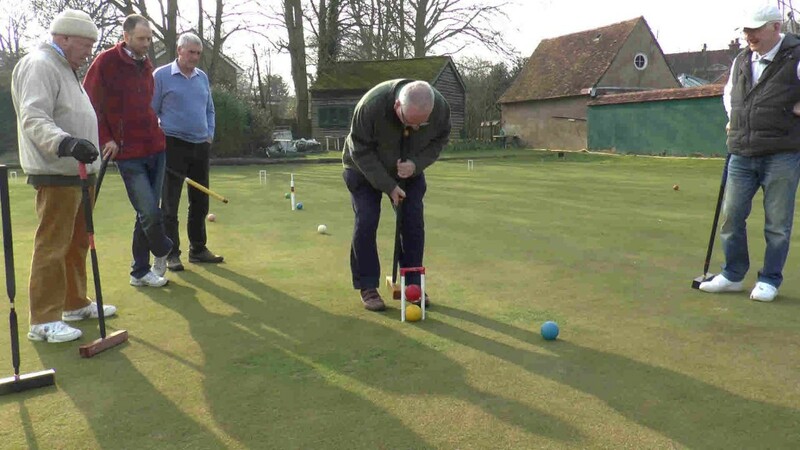 There are about two dozen full members in the Club: we arrange an annual fixture list for both Golf and Association Croquet that will enable you play against people of differing abilities. You don’t have to participate in one or the other if you don’t wish to. We have an on-line system for making bookings for the lawn so you can contact other members and play when you wish. I’m just a beginner – how will I cope? We have Club time on Saturday mornings (10.00am – 1.00pm) when you can come along and just meet other members, pick up tips and have a gentle game. When playing there is a handicap system that gives less experienced players extra turns to even out the odds a little. 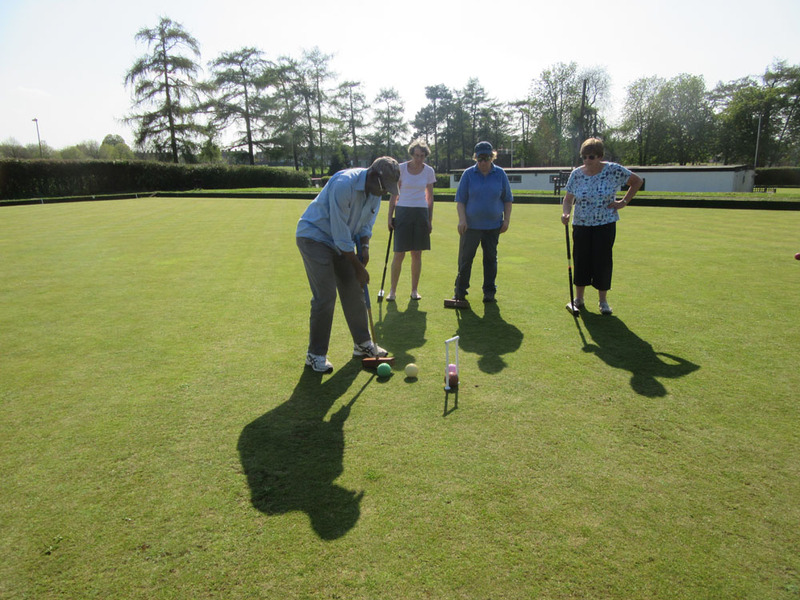 The Croquet Association (CA) has a very good web site www.croquet.org.uk which gives all the information you need (see also the LINKS page). The CA on-line shop sells various books on croquet which are well worth reading once you’ve got the hang of the game. They also sell mallets and other bits and pieces. The Club is affiliated to the CA and participates in regional inter-club matches through the Southern Croquet Federation. The Club subscription is £55/year; the rate for students in full time education is £10/year. Come to the Club on any Saturday morning from April to early October and have a go!